Diastasis recti is a health condition of the muscles; it is observed mainly in post-delivery females and to some extent in new born kids. About 2/3rd of women who have delivered a new born suffer from diastasis recti. In women suffering from this condition, a pouch kind of belly is developed making them look pregnant even after delivery. It severely affects the aesthetic appearance and confidence of the lady. In this condition the right and left muscles of the abdomen move apart and the gap is increased between them giving way to the rounded protruded belly pouch. 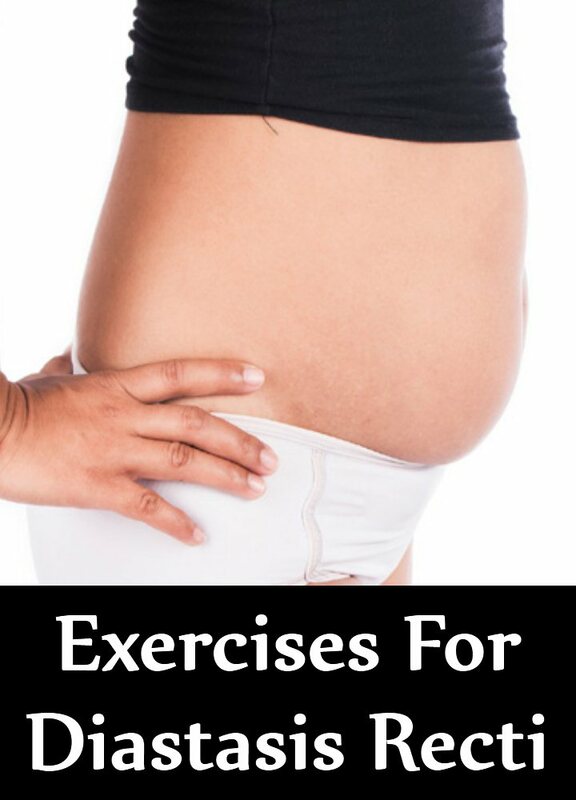 This mainly happens due to hormonal changes in pregnant women as well as due to stretching of abdominal wall muscles during pregnancy and diastasis recti is commonly observed in women with multiple foetuses. New born babies may also suffer from diastasis recti which usually goes away on its own with age. Men who perform inappropriate exercises or go for an improper dieting practice might develop diastasis recti. Core contraction is a basic form of exercise which helps in strengthening the core muscles and thus helps in reducing the belly pooch caused due to diastasis recti. It also helps with the back pain which could be a result of diastasis recti. This is simple to perform exercise; you need to sit on a chair straight and upright and place your hands on abdomen muscles and start breathing in and out. While breathing in hold the breath for 25 – 30 seconds, make your core muscles tight and then release; its best to do 2 sets with 5 repetitions each daily. Again a simple seating exercise which is very beneficial for diastasis recti. Sit on a chair with erect back and a straight posture. Place one hand above your belly button and other hand below your belly button. Once in this position, with the help of controlled and synchronised breaths pull your stomach inside towards your spine and hold this pulled pose for 2-3 seconds and release. For best results you need to make at least 100 repetitions of this inward outward exercise daily. The half crunches are a modification of the basic full crunches. They are known to strengthen your inner core which helps in reducing effect of diastasis recti. You need to lie on the ground with legs folded in a such a way that your knees make an angle of almost 90 degrees. Once you get this position put your hands behind your head and with the help of your hands push your head and torso forward; you do not need to fully raise your body; only the head must be lifted. This exercise is also called the head lift. Diastasis recti mainly affects the abdomen muscles which means we need to focus on our core abdomen muscles in order to treat it. Nothing is better for toning abdominal muscles than crunches and therefore another variation of crunches for helping with diastasis recti; it is called the oblique crunch. In this exercise you form the basic crunch position, fold your legs to form a 90-degree angle with your knees and with the help of hands placed at the back of your head push the body forward and touch your knee, repeat this alternatively with both – the right and the left knee. Plank work on various muscle zones of our body, they tone the abdomen muscles, the arm muscles, legs as well as the shoulders; however, the best effect of holding a plank is strengthened abdominal muscles. Therefore, it helps greatly with diastasis recti. You need to sit on the ground on your knees in a dog position and then gradually straighten both your legs and finally keep your body lifted from the ground. While doing a plank your body must form a straight line starting from your heels till your head. Try and hold a plank for one minute. A modification of the basic plank is called the side plank; it is also known to work on the abdomen core muscles. For this exercise you need to lie on one side of your body and then lift the body above the ground so as to form a plank. This is nothing but the basic push up exercise; the only difference being it is done against a wall. 15 repetitions and 3 sets give best results. Squats work on your abdomen, thigh and high muscles. A modification of squats called the wall squats which is done with the support of a wall helps with diastasis recti.